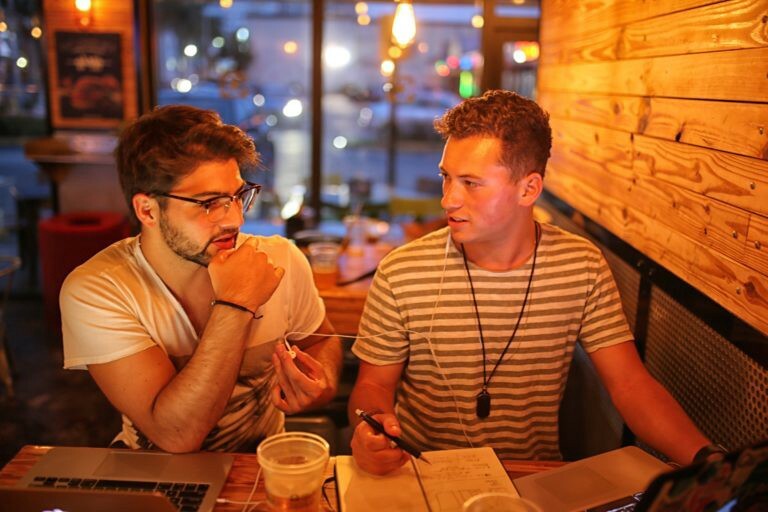 Entrepreneurship in action: Marcellus Gaag (co-founder) and Brendon Geils work on the final designs for what would be Sodima Solutions in a coffee shop in South Beach, Miami, Florida early in 2016. Photo courtesy of Brendon Geils. Sodima Solutions is creating tailored chatbot solutions for businesses that value customer experience & emerging technology. CampusGenius is a transforming how Higher Education communicates with students by focusing on where students are and being smart about it. Ultimately, changing how universities lead in admissions, student success, and student affairs. 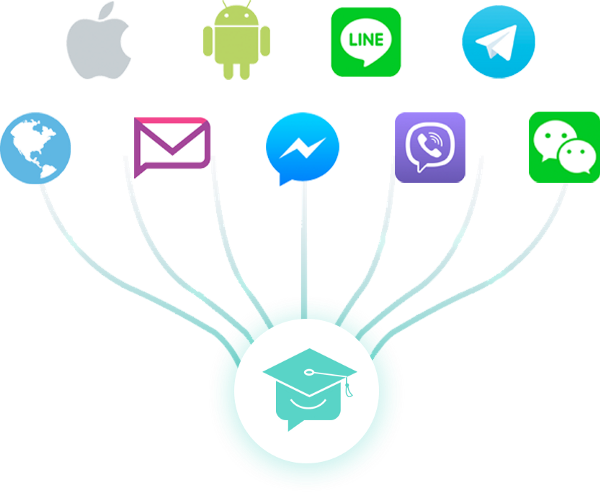 CampusGenius — we want to become the next-generation communication company for universities. We like the space of connecting with students directly on a platform. We want to make all of Higher Education easier to communicate for students. Reasons why? Because the drop-out rate with students that aren’t communicating well is so much higher. That’s proven. The better communication with the university, increases student retention. Sodima Solutions — Really it’s doing the exact same thing, but for only chatbot and sell to broader markets than just higher education. We’ve built a really good framework, so it’s a quick way for us to deploy chatbot solutions. We recently built one for someone running for student government. A campaign bot. You can message them about policy, about the campaign or just goofy things. And the chatbot responds 24/7. The world of politics is just one sector that is utilizing chatbot technology. What’s your biggest piece of advice for students? Freshmen and sophomore year, do everything you can just to get involved. That will allow you to find your passions. Once you find that passion — do work for free, do work for fun. And then you’ll find a business through that. Don’t set out that you are going to start a business. Find out what you like and develop your skillsets. Hackathons. Every time I go to one I meet like-minded people. I learn about what’s upcoming within the tech sector. And it’s just fun. I enjoy building these things, staying up all night and then showcasing at the end, while getting recognized among peers. 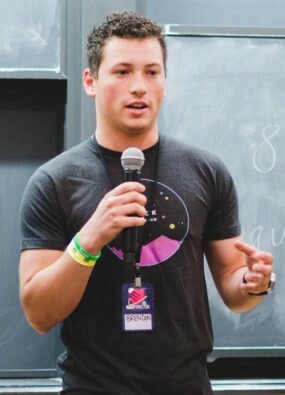 Talk about experience so far in Future Founders? The best thing is the network that they expand you to. I have a tough time personally going to networking events. Sometimes it feels like work. But they provide a great network of people that makes it worth it. To bounce legal off of, bounce acquisition deals off of, and all the likes. 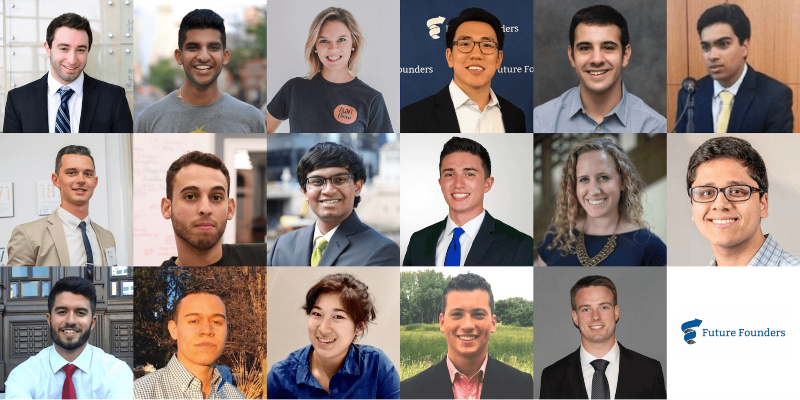 About Future Founders: The Fellowship is a selective year-long cohort that accelerates the development of the top student entrepreneurs in the nation. Fellows benefit from mentoring, entrepreneurship retreats, a peer community, and volunteer opportunities through Future Founders programs. Oh, and be sure to check out his impossible list!